Season 7 First picha. . Wallpaper and background images in the The Walking Dead club tagged: negan season 7 first photo the walking dead jeffrey dean morgan. 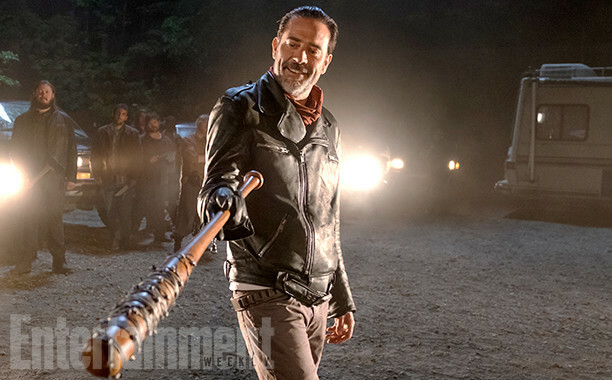 Given Lucille isn't covered in blood, is it really a season 7 photo...? Yes it is. It's their first official picture. And I think they'll reshow the scene but without the pov at the end and we'll see the person getting the bat. Yeah I know, but that is kinda a sneaky and poop way to give us a "first look" at season 7.
link. They can be really lame sometimes.